REDMOND, OR -- The Redmond School District will start sending the most delinquent meal accounts to collections by the end of this school year. Nutrition Services Director Keith Feidler says traditionally, past due meal balances accounted for about half of one-percent of the budget; he thought of it as just the cost of doing business. But, in the past two years, it’s risen to about 7%. "It’s a bit over $200,000. That is a good estimate of an accrual," he tells KBND News, "And I can tell you, it’s rising. So, what we’ve seen is an exponential increase in accounts just not being paid." He believes the timing is related to a 2017 state bill designed to prevent "lunch shaming." 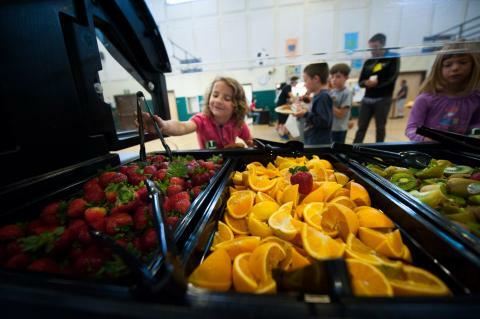 Among other rules, it requires districts to provide meals to students, regardless of whether they have funds in their school meal account, and it prevents staff from telling the child they're overdrawn. Feidler says the district follows the guidelines and notifies parents in writing, as well as providing online account access, "We do have a parent portal system, so any parent who chooses to can set up where they can go in and look at their child’s meal account and meal activity, and see if they had breakfast and lunch, as often as they want to. We also, every approximately two weeks, we send out a negative balance notice with a request to contact us." But, he says, not every parent reads every school notice. Beginning next week, Redmond Schools will send additional notices to those with the highest balances, "We’re going to send a series of notices out after it’s already over $100, which means, essentially, it’s already past 30 days from the point at which they had the meals." Feidler says the district wants to work with families to create manageable payment plans, when possible, "My target is ‘nobody ever goes to a third party collection agency.’ I mean, that’s my goal. But, at the same time, we feel that it’s the responsible way to treat education dollars." If the debt is not paid off within 60 days, and no payment plan is set up, the district considers it "uncollectible" and it will be turned over to a third party collections agency. Families who qualify for free or reduced lunch won't go to collections. Feidler says all students who request a meal will be fed, regardless of their account balance or ability to pay. But, when a student isn't approved for meal benefits, their account will be charged.